The Governing Board of F4E has adopted the 2011 work programme and budget which provide over EUR 300 million to European industries and research organisations to contribute towards the realisation of ITER. The 18th meeting of the F4E Governing Board opened with a presentation from the Director General of ITER Organization, Prof. Osamu Motojima, who paid his first official visit to F4E and took the opportunity to present the status of the ITER project. In his opening words he explained that “the top priority is to deliver on time - we must respect the agreed schedule and conduct an exercise for more savings”. 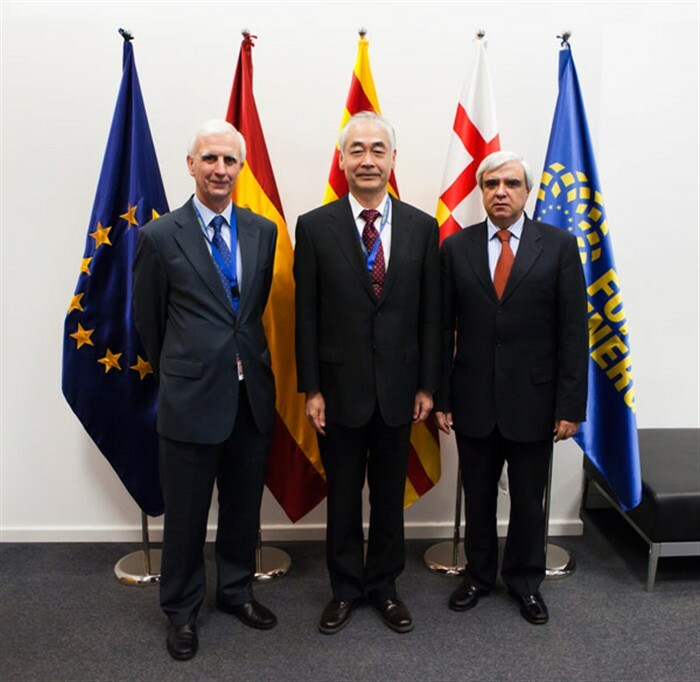 He further explained that “establishing a good relationship between F4E and the ITER Organization is of fundamental importance”. Following the adoption of the 2011 work programme and budget, F4E will publish calls for tender and proposals in 2011 with a value of over 300 million EUR. The Governing Board also decided on the next steps to continue the improvement of the governance of F4E, discussed F4E’s draft industrial policy and extended the mandate of the F4E Director, Dr Frank Briscoe, until August 2012.